Story #3 about best buys for weebit’s rental apartment: I continue to be a #1 fan of the Simple Human Shower Caddy (affiliate link). Weebit needed functional shelf space in the tub/shower, and the shower head piping is old and weird/droopy and would not accommodate a cheap and cheerful hangover model. So I bit the bullet and bought this Simple Human lovely. 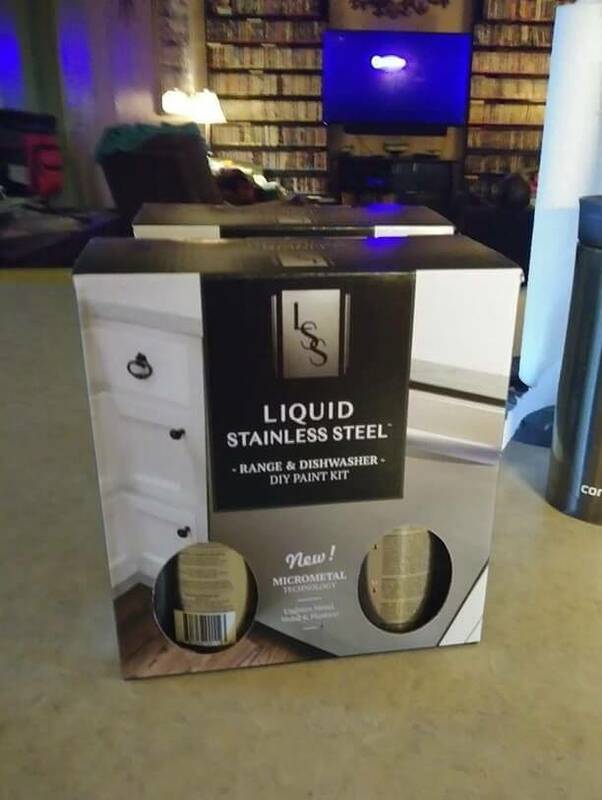 It’s stainless steel and anodized aluminum — rust-proof — it goes together like a dream — and in our household it’s already proven its durability in my husband’s shower, where it looks as good as they day it was installed, golly, 10 years ago, maybe more. Weebit has the standing version (affiliate link) in the family house, too. This shower caddy is not cheap, but I had no patience for risky pretenders; weebit will likely have this for 20 years, heck, maybe a lifetime! 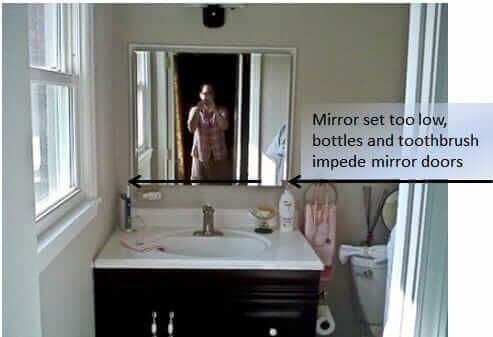 Things I’d change in Mom’s bathroom: Only 2! Okay, only 4. Suzy uses Liquid Stainless Steel to repaint her vintage Nutone bathroom scale — it looks great! I agree about Simple Humans shower ???? Caddy. We have this one too and it still looks great. Pam, you are one of the lucky ones. 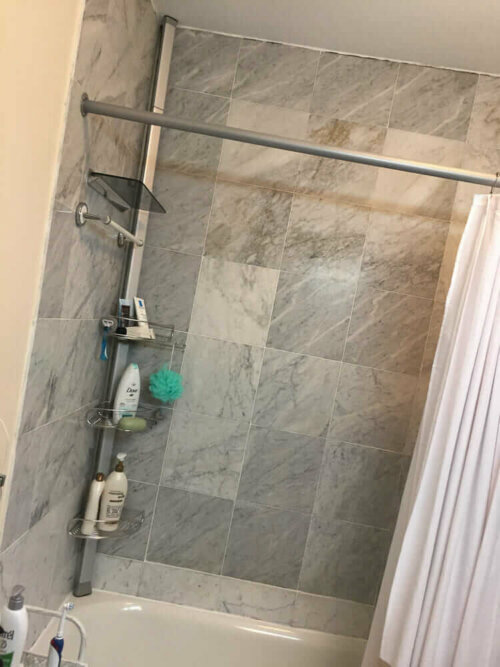 My experience with the Simple Human “rust proof” extension pole shower caddy has been very different- it started rusting a few months after I purchased it. Hmmmm… I wonder if water composition is the issue. Like I said, mine have been going strong for 10+ years.